The Birchwood System is a low power development/evaluation platform based on the high performance Marvell’s Armada 300 88F6282 ARMv5TE compliant core with integrated 16 KB L1 Cache and 256 KB L2 cache that can run up to 2.0 GHz. 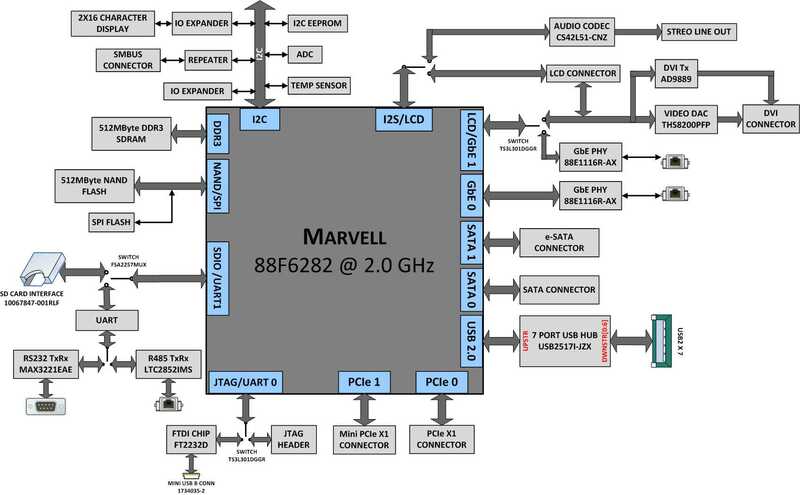 The system enables users to design and develop innovative embedded products based on the Marvell’s 88F6282 processor. The system has 512 MB (128 MB x 4) DDR3 RAM and 512 MB NAND Flash. The System can be used by developers as is or Pactron can provide customized industrial designs, hardware and software for your specific needs.